Kim Kardashian, W2 forms, the Department of Motor Vehicles, and all things idiotic. Revolting is also having a lot of fun. It is being sarcastic as hell and enjoying the insanity we live in while mocking authority at every opportunity. I have been Revolting since long before I battled Lyme Disease. Much of my life has been a battle for survival and Lyme Disese has simply been the next thing to try and break me. But sickness in itself is not an evil, and what infuriates me more than ticks that bite us are the human leeches that drain and prey upon us. Wherever there is human suffering you can inevitably find some group of people profiting from the desperation of others. It hurts me to know that I may never improve from this disease simply because I don’t have the funds to fight it. I am very optimistic however, that constant exposure to the corruption of the politicos and medical quacks will be an experience not soon forgotten by a once docile and agreeable population. Much like the AIDS epidemic, I believe the Lyme epidemic is going to be a catalyst for change: a new battlefront for the sick and disenfranchised to challenge the way things are and to create beauty from chaos. The music I create is an effort to expedite that process as well as a personal therapy to exorcise my own anger and pain. And sometimes it is an affirmation of fleeting beauties & nostalgic pasts. My track about Lyme Disease was one of the most agonizing things I've ever recorded, reducing me to tears in one session. But seeing how people reacted when I performed it at the ILADS protest in October was beautiful to say the least, and a firm reminder of why I make music. My first full-length album Revillusion is set to be released in fall of 2014. I’m exhilerated to be finally recording it, especially since it will break down so many of the barriers and stereotypes in modern hip hop. Check out some of the tracks below and my social media links for updates on new songs, live shows, and the final release. Revolt would love to hear from all of you, so be sure to contact him, or visit his pages and give him a "like" and follow. Support from the community means so much! 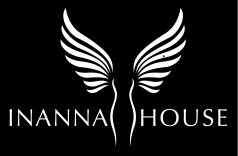 Click on the Twitter icon to tweet about Inanna House, #ArtistOfTheMonth, and Revolt ~ The more awareness the better!